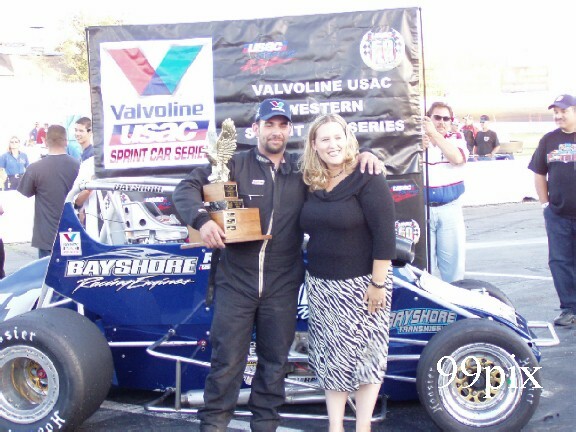 STOCKTON, Calif. - Nick Rescino Jr. of San Francisco, Calif. won Sunday's 100-lap "Fred Gerhardt Open Wheel Classic" USAC Valvoline Western Sprint Car Series feature at the Stockton (Calif.) 99 Speedway. 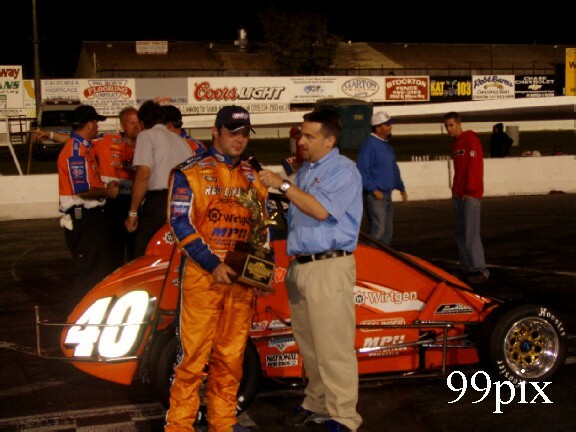 Rescino trailed Jason McCord for the first 13 laps, then led the final 87 laps for the victory. Michael Trimble finished second ahead of McCord, with Jeff Gardner taking fourth and Shauna Hogg fifth. 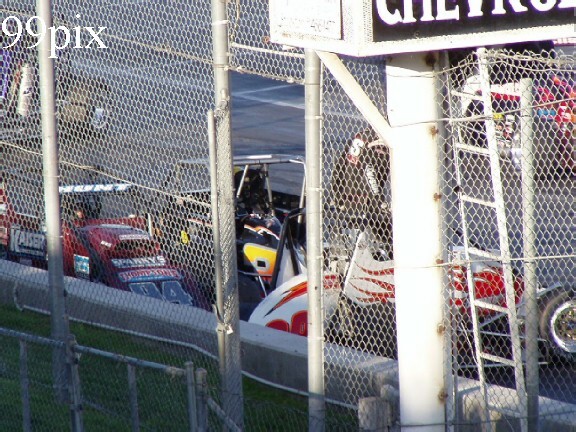 Series point leaders Kody Swanson and Tony Hunt were the first two to retire from the 100-lap race, Swanson leaking oil and Hunt caught in a four-car tangle on the frontstretch. STOCKTON, Calif. - Michael Lewis of Noblesville, Ind. 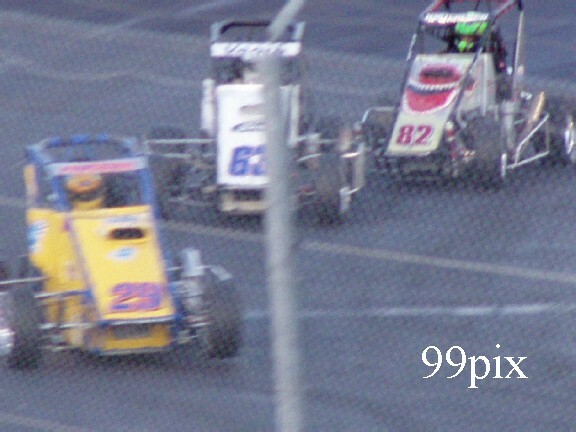 led wire-to-wire Sunday to win the abbreviated "Fred Gerhardt Open Wheel Classic" USAC Western Midget Car Series race at Stockton 99 Speedway. 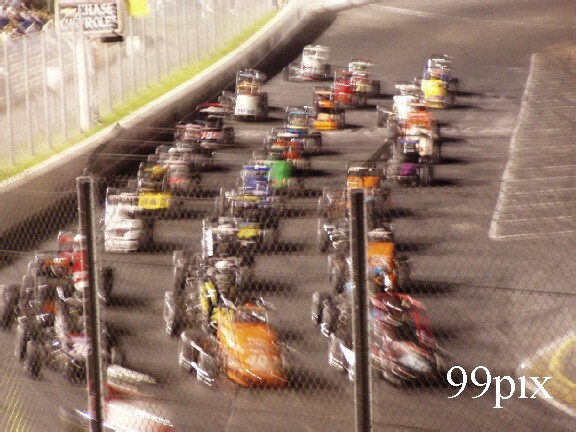 The race, scheduled for 100 laps, was halted after 99 due to a multi-car tangle. Lewis piloted the Western Speed Racing CMXtreme.com/Wirtgen America Gerhardt/Esslinger and was followed in the finish by Brian Gard, Bobby Santos III, Jerome Rodela and Ben Petter. 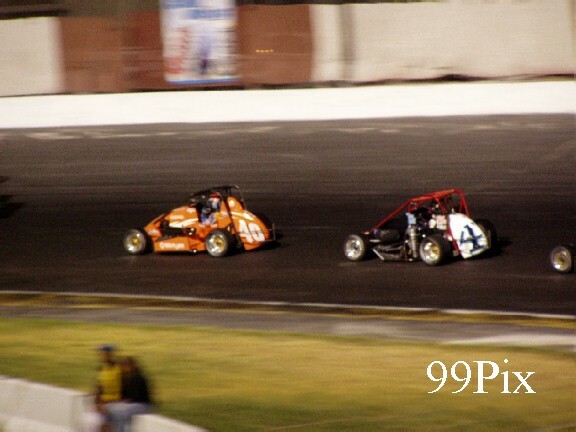 Rodela's finish sliced Western Midget point leader Robby Flock's lead to 55 points as Flock finished 27th in Sunday's race. 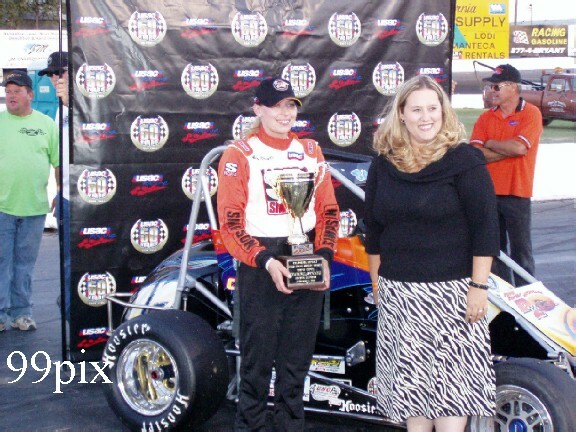 The series resumes Sept. 24 at the Orange Show Speedway in San Bernardino, Calif.
STOCKTON, Calif. - Audra Sasselli (left) of Fresno, Calif. raced to her third USAC California Ford Focus victory of the year and fifth of her career in Sunday's "Fred Gerhardt Open Wheel Classic" at Stockton 99 Speedway. 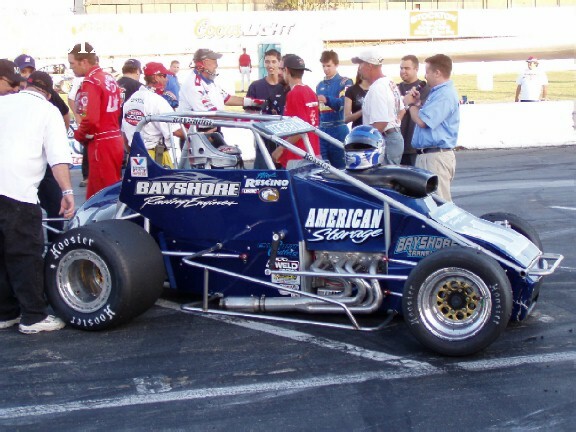 Sasselli trailed Jace Meier for the first 25 laps prior to an intermission, then led the final 25 laps to post the win. 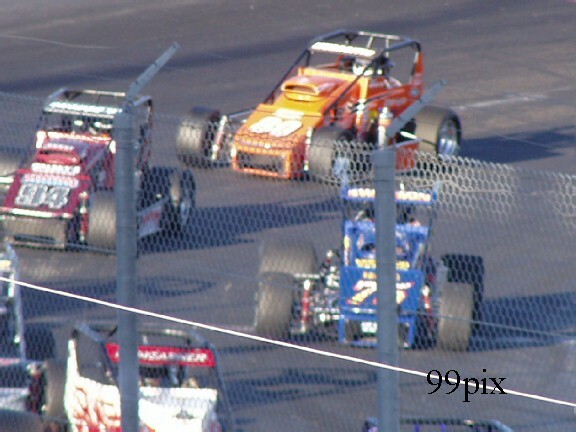 Jenna Frazier,(right) Chris Veach, Robbie Whitchurch and Benny Moon trailed. 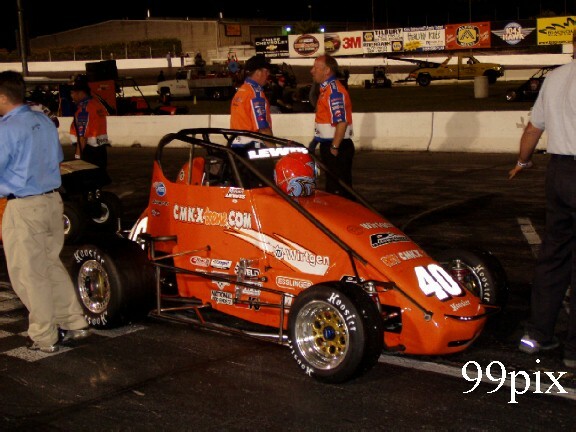 STOCKTON, SUNDAY, SEPT. 11 -- San Francisco's Nick Rescinio Jr. pulled of the win in the DuWayne Starr USAC Western Midgets 100-LAP classic. 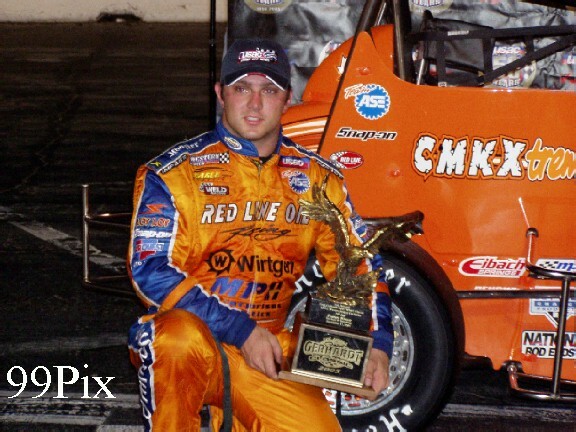 It was Rescinio Jr.'s first career USAC win. "I don't think I'm going to be able to sleep tonight," said Rescinio Jr. of his win from victory circle. track. The glue-less, makeshift patch held through to the checkered flag. the Nevada State championship points race. 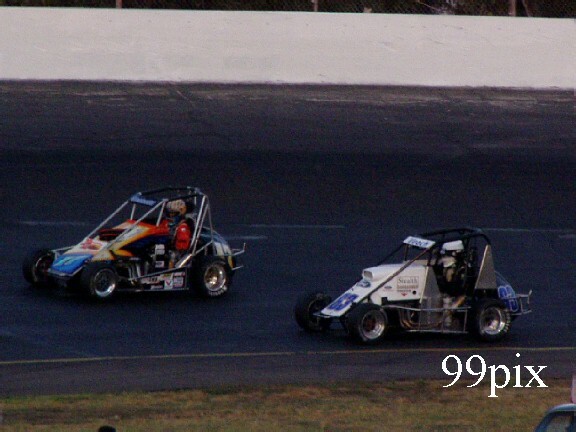 season and third Ford Focus race of the year. 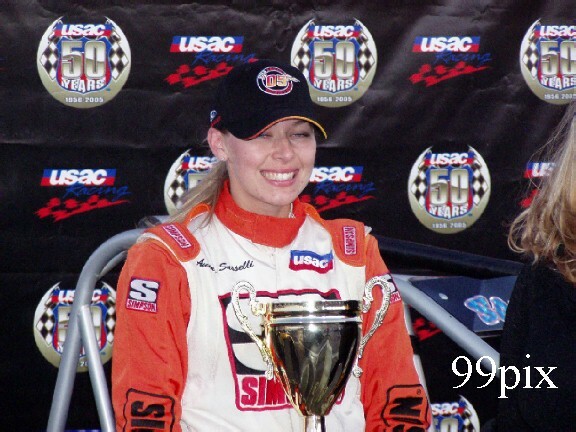 "It felt good to win," said Sasselli, especially since I'm more of a pavement driver than anything else." The ladies of the field scored a 1-2 punch when Jenna Fraser #29 of Fairfield finished 2nd!! Ford Focus cars that peeled off the track just prior to the green, which saws 27 of the super-speedy midgets start the race. 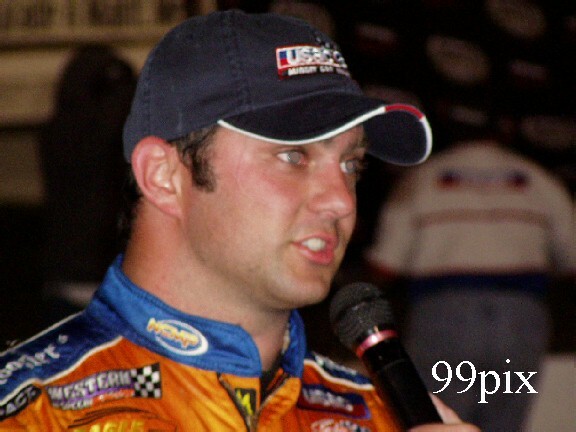 up until his checkered-yellow win. "I love racing out here with the western state guys," said Lewis. 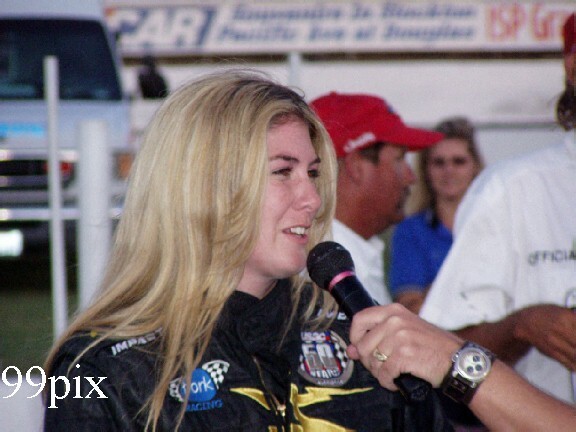 "To win the Fred Gerhardt Classic was awesome, especially considering that the Gerhardt's own my car." 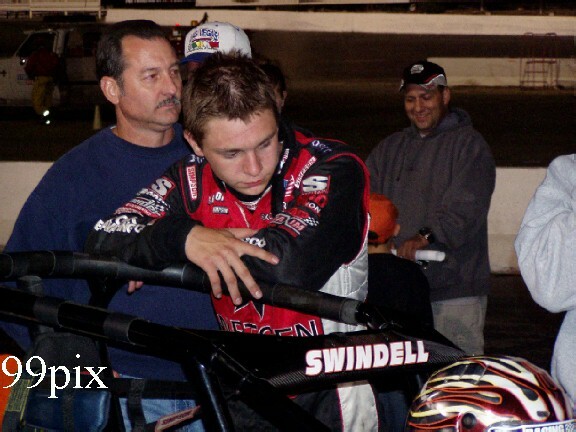 Kevin Swindell of Cordova, Tn, (left) raced aggressively and was penalized for it, as well as confronted by Tony Hunt after the event. derby and the annual powder puff race.